Grammy nominated songster, Don Edwards, continues to build a legacy that enriches our vision of the American West. In tales of the day-to-day lives and emotions of those who have lived it, his ballads paint a sweeping landscape of both mind and heart, bringing to life the sights, sounds, and feelings of this most American contribution to culture and art. The quality of this cowboy balladeer’s music stems from the fact that he is so much more than a singer. Bobby Weaver of the National Cowboy Hall of Fame in Oklahoma City, summed up Edwards’ importance as, “… the best purveyor of cowboy music in America today.” A historian, author, and musicologist unusually well-versed in cowboy lore and musical traditions, Don brings a rare complement of knowing and loving his craft. Mostly though, there is the soul of a poet; a man who has never succumbed to the temptations of presenting a glamorized or romanticized version of the West. Edwards deals with bad weather, petty motivations, sadness, nostalgia and longing as parts of the landscape – like any other. The son of a vaudeville magician, Don was aware of a vast cross-section of music from classical to jazz, and blues to Western-swing. Many of those influences enter his own music as they did the music of the West. Edwards was drawn to the cowboy life by the books of Will James and was presented the Will James Society’s ‘Big Enough Award’, awarded annually to one who personifies the Western and Cowboy way of life and achievements. He also loved the ‘B’ Westerns of the silver screen, particularly those featuring ‘sure-‘nuff cowboys’ like Tom Mix and Ken Maynard. He taught himself guitar at age ten, and in 1961, got his first professional job as an actor/singer/stuntman at Six Flags Over Texas. In 1964, Don released his first recording on REN Records of Dallas. Don became part owner of The White Elephant Saloon in the Fort Worth Stockyards where ballad hunter and historian, John Lomax collected cowboy songs. Subsequently, Esquire magazine named The White Elephant one of America’s 100 best bars. Edwards also began playing throughout Oklahoma and Texas, and with the birth of the Cowboy Poetry Gathering in Elko, Nevada, he achieved widespread recognition. He has now played his special brand of music throughout the United States, Canada, Great Britain, Ireland, New Zealand, Europe, and the Far East. Don Edwards has two recorded anthologies of cowboy songs: Guitars & Saddle Songs, and Songs of the Cowboy, both included in the Folklore Archives of the Library of Congress. These anthologies have been re-recorded and expanded for Western Jubilee Recording Company as the 32-song double CD/set, Saddle Songs. This project was awarded first place for Best Folk/Traditional Album at the annual 1998 INDIE Awards. The National Cowboy & Western Heritage Museum in Oklahoma City has awarded Edwards six prestigious Wrangler Awards for Outstanding Traditional Western Music. Other recognition includes: Western Music Association Hall of Fame, Old-Time Country Music Hall of Fame, Texas Trail of Fame, Texas Cowboy Hall of Fame, and Edwards is immortalized on the Walk of Western Stars in Newhall, California. Don has presented seminars at Yale, Rice, Texas Christian, and other universities. His recordings under the Warner Brothers Western label, Goin’ Back to Texas, Songs of the Trail, The Bard & The Balladeer, and West of Yesterday spawned a new audience for his music. The summer of 1997 found Don Edwards in Livingston, Montana portraying the role of Smokey in Robert Redford’s film The Horse Whisperer. In addition to his acting/singing role, Don is featured on the MCA soundtrack. In May of 1998, to coincide with The Horse Whisperer theater release, Warners compiled and released The Best of Don Edwards while Western Jubilee offered My Hero Gene Autry, recorded live at Mr. Autry’s 90th birthday celebration. His next two recordings for Western Jubilee resulted in two more visits to Oklahoma City to receive the Outstanding Traditional Western Music Recording of the Year award – A Prairie Portrait with Waddie Mitchell and the Fort Worth Symphony Orchestra, and Kin To The Wind: Memories of Marty Robbins. In the Fall of 2002, Western Jubilee released an important special project: Don Edwards and Bluegrass icon, Peter Rowan teamed up on High Lonesome Cowboy. This recording traces the roots of Western music from Appalachia to Abilene and includes legendary musicians, Norman Blake and Tony Rice. High Lonesome Cowboy resulted in a Grammy nomination for 2002 – the first time Cowboy music has ever been nominated for this prestigious award. In 2003, Western Jubilee released Saddle Songs II – Last of the Troubadours, 32 more Classic Cowboy Songs, which was followed by Don’s newest book, Saddle Songs – A Cowboy Songbag. In 2005, the Werner Herzog film production, Grizzly Man was released featuring Don’s complete recording of “Coyotes” at the conclusion of the movie. In April 2007, Don Edwards’ Western Jubilee recording Moonlight and Skies received a Wrangler Award and in 2009, Western Jubilee offered Don’s first long awaited and often requested inspirational recording, Heaven on Horseback as well as his first concert video, Live at Western Jubilee. In 2008 and 2009 Don Edwards did some unique touring in hologram form. The state of Texas commissioned Don to go to New York City to be filmed as a hologram, talking and singing of Texas in a campfire setting. This hologram performance toured major fairs, festivals and events in the United States. 2010 marks Don Edwards’ 50th year of performing, and his becoming the recipient of The National Cowboy Museum’s ‘Chester A. Reynolds Memorial Award.’ The award is named for the founder of that museum and Don is among a select few to receive this most prestigious award in recognition of his outstanding contributions to perpetuating the ideals, history and heritage of the American West. 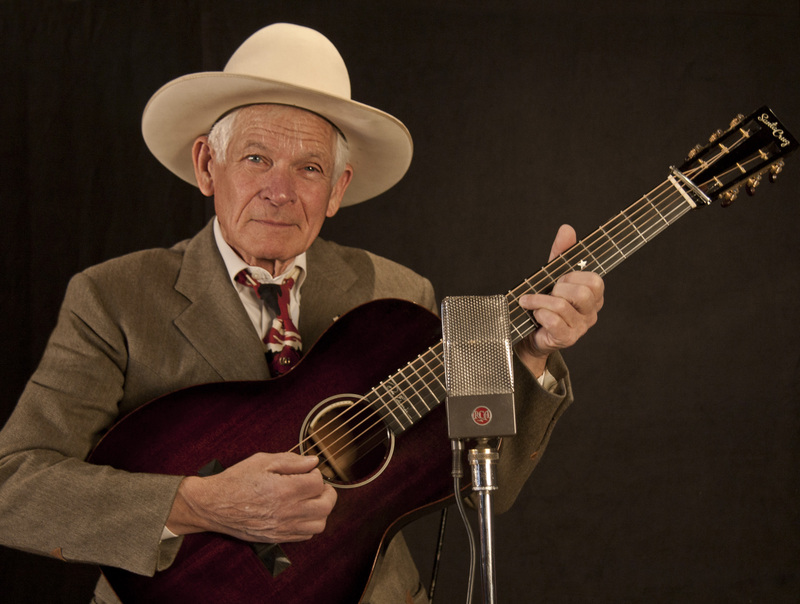 In January, 2011 the Santa Cruz Guitar Company debuted the Don Edwards Cowboy Singer Guitar at the National Association of Music Merchants (NAMM) in Burbank, California. The critically acclaimed signature model guitar, created to Don’s specifications, received the ‘Pick of the Day’ by Premier Guitar Magazine with many thousands of instrument makers and professionals in attendance at the event. Santa Cruz Guitar Company, known for their quality craftsmanship, will offer the 00 size Cowboy Singer Guitar on an ongoing basis. In addition, twelve songs of liberty by America’s Cowboy Balladeer and Western patriot, Don Edwards, was released by Western Jubilee in 2011 and simply titled American. Along with touring and special projects, in April, 2014, Don received his seventh coveted Wrangler Award for his self-produced recording, Just Me and My Guitar. The richness of Don’s voice coupled with an unforgettable stage presence makes Don Edwards America’s Cowboy Balladeer. The accolades are simply a bonus for Edwards, who sings what he does out of love and respect for the genre. Don’s career continues to blossom, and luckily for all, has added much to the literature and music of the West, passing on a rich legacy to the rest of us.